Ahoy Mates! T’is Roger the Red-or RtR for short-again. Now, I’m assuming that ye all know what Privateers are. But as me sainted Mum used to say “Never Assume!,”and I assume you all know why. So, for the edification of those few that might not know, I shall review the basics. A PRIVATEER refers to both a privately owned vessel of war and to the sailors that manned them as well. Privateer ships sailed for different governments with a document called a “Letter of Marque and Reprisal” or “Letter of Marque” for short. This was basically a license issued by the different power, England, Spain, France and the Netherlands, to individual non-naval captains and crews to attack and capture the ships of enemy nations for a percentage of all booty taken. This system was especially favored in the New World of the 16th and 17th centuries when the Navies of the major powers were focused on the endless wars between European nations. Privateers represented colonial governments far from their parent countries. During the American Revolution, for example, the only Naval forces Colonial America had were Privateers, John Paul Jones being the most notable example. But in the “Golden Age of Piracy” there was thin line between “technically” legal Privateering and outright Piracy which was often crossed, intentionally or not. If an English Privateer were captured by the Spanish, he would be tried and executed as a Pirate, and vice versa. With communications being what they were back in the day, a Privateer ship with a Letter of Marque might set out to voyage against an enemy, only to have peace break out between the former enemies while they were cut off from their home ports. Capturing a former enemy’s vessel was considered an act of Piracy and punishable by law. Many became Pirates by choice, especially after periods of peace when they were “Thrown up on the Beach,” no longer needed by the Powers that formerly depended on them. These sailor/ warriors had the ships and the skills to capture ships of ANY nation and thus many became Pirates-the Enemies of all Mankind! But as long as the wars raged on,as they did through much of the 17th & 18th centuries, Privateers fought throughout the Caribbean for whichever nation paid them best. Any questions? Come Meet Us and Ask, Mates! So what is it you do at events, you may ask? That depends on the nature of the event and the period portrayed. Generally our goal is to educate and entertain our public through presentations and personal interactions. 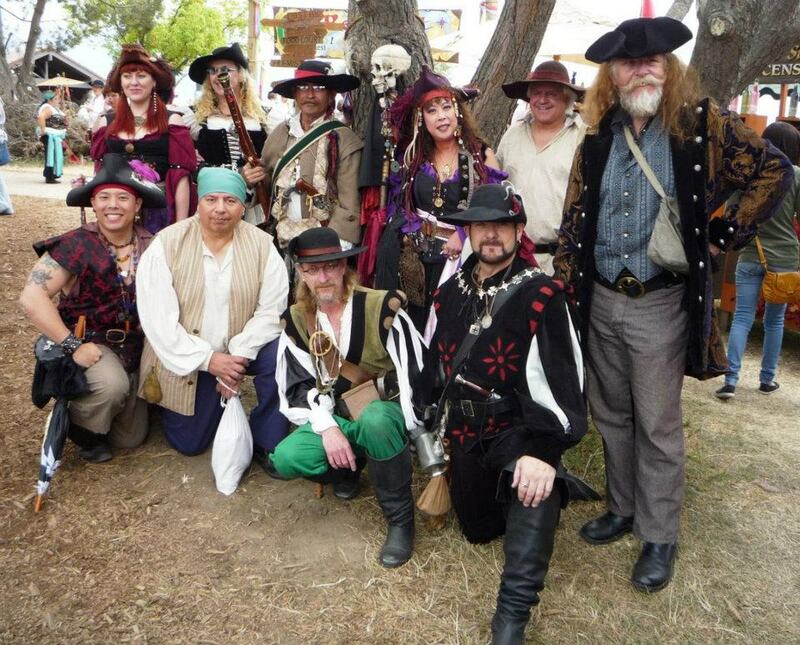 For example, at a Privateering event, we offer a short discourse on the nature of Privateers in the 17th Century, including tactics and weapons demonstrations. Sword fights, small arms firing of period correct guns, and of course our favorite, the Cannons! (Cover your ears!) We also feature working, hands-on, kid friendly demonstration machinery to give our audience an idea of the kinds of work done by sailors of that day, as well as displays of livestock, period foods, and many other visual displays, along with our knowledgeable crew to elaborate on the items we present. In Western mode, we generally perform rip roaring skits with as much gun fire as we can work into them. All our performers are certified, insured and safety trained and re-trained constantly. Safety in performance is ALWAYS our primary concern. Sometimes we are invited to events where we are roaming costumed persona’s, such as in Californio or Revolutionary War celebrations. In our unique demonstration of Civil War Confederate Blockade Runners, our aim is to educate. We are the only group in the United States to present this segment of American History. Though we are not a “For Profit” organization, we are professionals in every sense of the word. We are also “Guns for Hire” on occasion and usually available to work public or private events at reasonable rates. Interested parties may contact us online or in person at any of our events. I hope this gives you an overview of the scope and breadth of our crew’s activities and that you’ll join us, either as an observer or possibly sign on with us. Either way, we’d love to meet you, Mates! FRIENDS, CREWMATES and HONORED VISITORS- AHOY! Welcome to the Maiden Voyage of the Rogue Privateers website and Scuttlebutt from the Poop Deck– our newsletter. Thank you for visiting! We have much to share with you. But first, allow me to introduce meself. I am Roger Cochoran, called Roger the Red by me mates. Gunner aboard The Privateer ship “Morning Star,” a 10 gun Sloop-of–War. 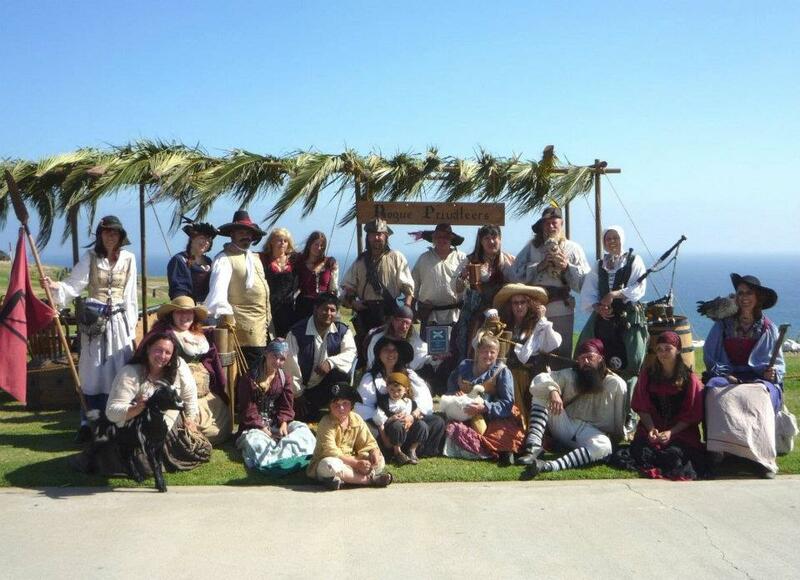 I am a chronicler of our crew, our many voyages and adventures through the realms of Living History plus Entertainments and Re-Enactments. Though I write from the viewpoint of a 17th century privateer-man, our members recreate the daily lives of men and women in many historical periods. From Elizabethan Sea Dogs through GAOP (Golden age of Piracy), the Colonial and Revolutionary Americas, the Californio Era, Civil War Confederate Blockade Runners (we are the only crew in the USA to portray these rebel sea men), Old West, Victorian, 20th century American (1940’s), and Steam-Punk, our members have presented accurate historical representations in all of these Eras and Genres. Many of our members have worked in well known film and television features, including HOOK, the PIRATES OF THE CARIBBEAN films, History Channel’s TRUE PIRATES OF THE CARIBBEAN, and many other projects. Our ranks include writers, editors ,publishers, poets, musicians, and many of our Nation’s Honored Vets, all dedicated to educating the public with the most accurate recreation of each era we portray. This is our Mission. If this dedication to history appeals to you, we are always recruiting those eager to join our ranks. Check back with our Webpage and Newsletter often. We’ll keep you informed of our upcoming events and would love to meet and talk with you, and maybe even sign you on to our roster, if that be your wish. So welcome aboard, Mates!